Click the button below to add the '90 to '17 Harley Fat Boy Batwing Fairing 140-0000 to your wish list. Note: May require relocation of the handlebar mounted front turn signals. 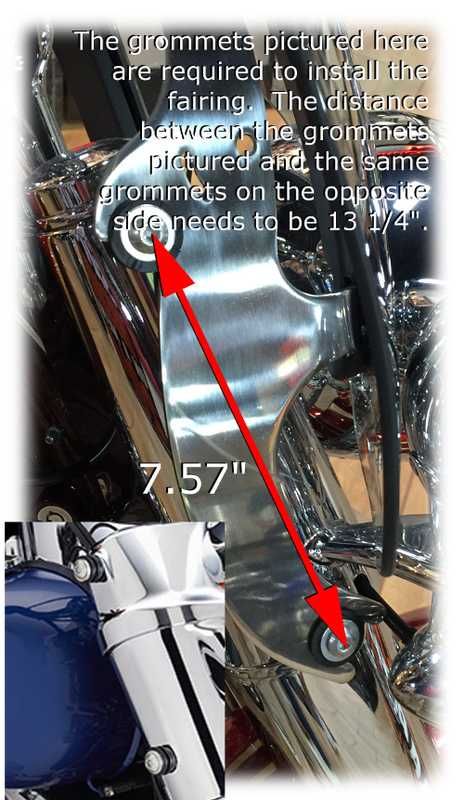 *If your motorcycle does not have the OEM windshield mounts as shown in the below photo, then there are numerous aftermarket options for Harley OEM windshield grommets.